Been reading the Summa and ran across a verse, or maybe translation, that I couldn’t match up. Aquinas quotes Psalm 11:2 several times and I thought it was a typo but I can’t find the text in any version any where in scripture. Could someone elucidate why? SIXTH ARTICLE [I, Q. 16, Art. 6] Whether There Is Only One Truth, According to Which All Things Are True? Psalm 11: 2, "Truths are decayed from among the children of men," says: "As from one man's face many likenesses are reflected in a mirror, so many truths are reflected from the one divine truth." The older Latin Vulgate Bible, whose 1592 edition became the official Bible of the Church was already by the time of Aquinas the unofficial standard, and it appears this was the translation he used. As a note on the numbering, Psalm 10 is an acrostic - the verses begin with consecutive letters of the Hebrew alphabet. The Vulgate counted this as one psalm from first to last letter of the alphabet; other translations from the Hebrew, including the New Vulgate, broke it into two before the verse beginning with lamedh and numbered the second half as Psalm 11,making the psalm in question Psalm 12. Salvum me fac, Domine, quoniam defecit sanctus, quoniam diminutæ sunt veritates a filiis hominum. which is very nearly the quote referenced from the Douay-Rheims Bible and excerpted in your question. The Nova Vulgata, which is the current official Latin version retranslated from Hebrew and Greek, words the passage almost identically, substituting fideles "faithful/the faithful ones" for veritates "truths". Looking at the Hebrew original, it appears that Jerome translated the Hebrew word אֱ֝מוּנִ֗ים, an adjective, as a noun. Thus instead of "the faithful/loyal/true ones", he gets "the truths". It appears then that Aquinas' quote doesn't mean exactly what he thinks it does - though his conclusion is still reasonable. …truths are decayed from among the children of men. …diminutae sunt veritates a filiis hominum. which St. Thomas quotes verbatim. The corresponding verse in the book of Psalms in Moseretic-numbered bibles would be 12:2. Not the answer you're looking for? 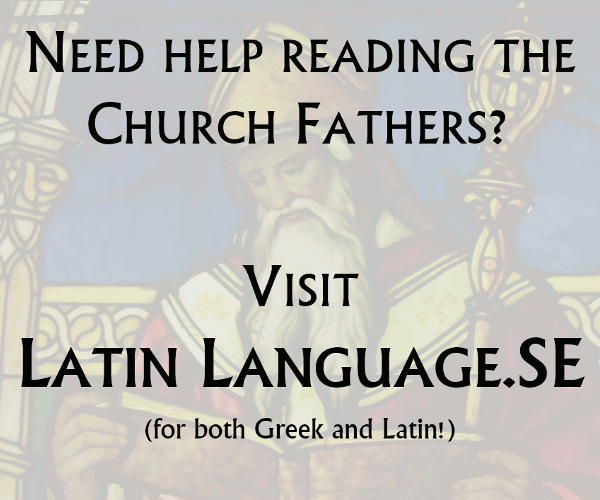 Browse other questions tagged summa-theologica or ask your own question. What's wrong with the Summa Theologica? Is the Summa Theologia infallible to Catholics or not? Did John Calvin ever read Thomas Aquinas's Summa Theologica? Is it necessary to read Aristotle's books in order to understand St. Thomas Aquinas's «Summa Theologica»? Are Catholics required to accept every article of Aquinas's «Summa Theologica»? Is the dignity of man pertains to his soul only or to the wholeness of his being meaning body & soul?